“RESPIRE” # 1 ON CKOI! Jonas & The Massive Attraction’s new French single “Respire” hit # 1 this week on the CKOI Top 25 radio charts in Montreal. “Respire” also hit # 1 on the BDS Pop/Rock Top 25 and # 3 on the BDS Top 100 in Quebec. The new single “Respire” is available on iTunes Canada at BUY NOW and the brand new studio album LIVE OUT LOUD is IN STORES NOW throughout Canada and Europe or on iTunes at BUY NOW. 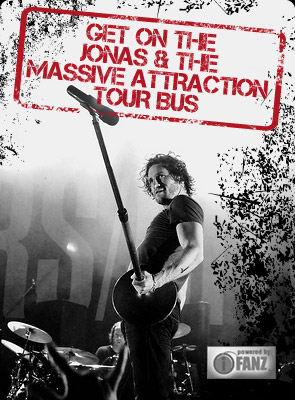 Jonas & The Massive Attraction return home from Europe on June 22 for the band’s first summer festival performance as part of the LIVE OUT LOUD TOUR in Témiscouata Sur Le Lac, QC at Festival Les Cartonfolies. For full tour details check out TOUR INFO.